Many plants are genetically inclined to have drought smart strategies, others not so much. They can however be trained to be more drought smart than they were born for. Most soil in new subdivisions has been ravaged by the building process, in some cases, the topsoil completely removed to leave a hardpan of clay, compacted by machinery driven over it. Some areas of Canada, and other countries, are composed of bedrock covered by a thin layer of topsoil. Old farmsteads, nutrient rich but built over clay subsoil can be wet and poorly drained. Sandy and gravely soils left by the glaciers that once completely covered the land are lean in nutrients, and drain too quickly. If any of these describe your garden, take heart. 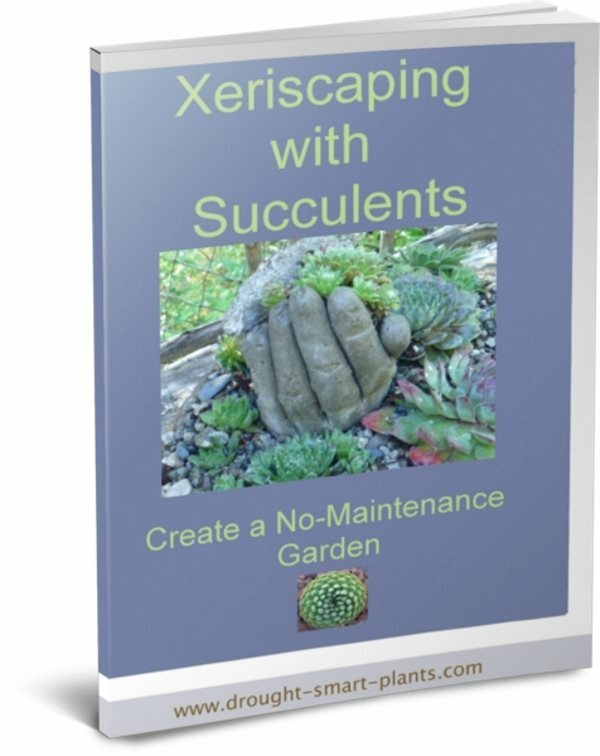 You can improve even the most degraded of soil, with time, patience, and compost to create a gorgeous xeric garden of plants with the ability to survive in dry conditions. The addition of drainage if your soil is wet or amending with compost if it drains too quickly is a long term prospect. It could take several years to improve your whole garden adequately by using techniques such as growing green manure cover crops and sheet composting to add organic matter. Below are some strategies to make your garden smarter. Choose your plants wisely by researching their preferred conditions and adaptations. When you first design your garden, cluster plants with a preference for similar soil type, amount of moisture and sun exposure close together. Using zones makes it much easier to care for them, giving them the conditions they require and creating a microcosm perfectly suited to their needs. Build raised beds so you can improve the soil locally in each, and tailor it to the requirements of plants with similar needs. Add organic matter. This point can’t be stressed enough, as organic matter is quickly reduced to almost nothing by heat, cold and erosion. You can see this first hand by building a compost pile – it looks like a lot at first, but over time will reduce its volume by half before it’s rotted enough to put on the garden, and will continue to shrink until it’s all gone. Adding organic matter is a continual process, whether it’s by compost, manure or mulching. Watering newly planted beds until the plants are established will give them a much better chance of survival. Once established and growing strongly, reduce the number of times you water, but water deeply. This encourages the roots to follow the water down into lower layers of soil, making them much more drought resistant. In time, your plants will be much more drought tolerant, and can go longer between waterings. Mulch your gardens with organic mulches such as wood chips, bark mulch or grass clippings, or inorganic mulches like pebbles or lava rock. Either way, you will add a moisture retentive layer so you can water less often. Organic mulches need to be replenished more often, but on the plus side, they steadily add nutrients to the soil as they decompose. 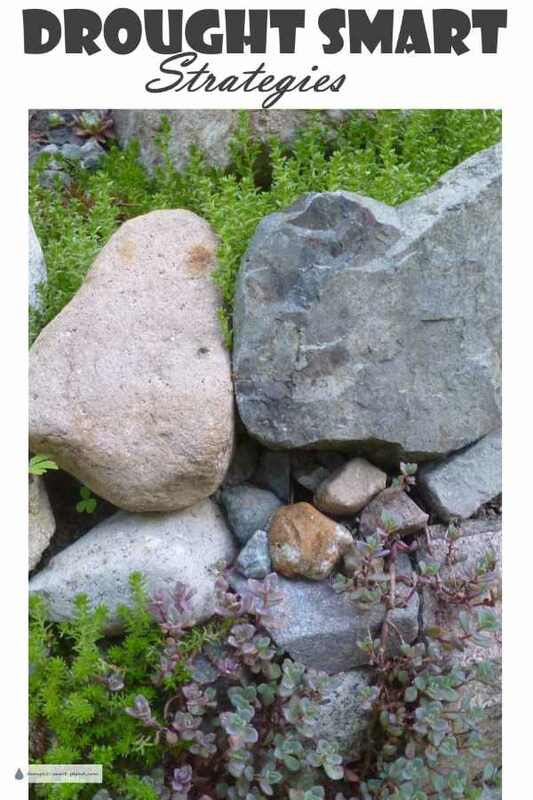 Use large rocks to keep roots cool, making it easier to survive long periods without rainfall. Following these drought smart strategies and thinking things through before you plant can help make your whole garden smarter. Your plants will thank you by happily growing to their full potential.